Up for review today is The T by Caldwell Cigars. As we recently noted, Caldwell is noted for releasing beautifully branded, full flavored, quality smokes. 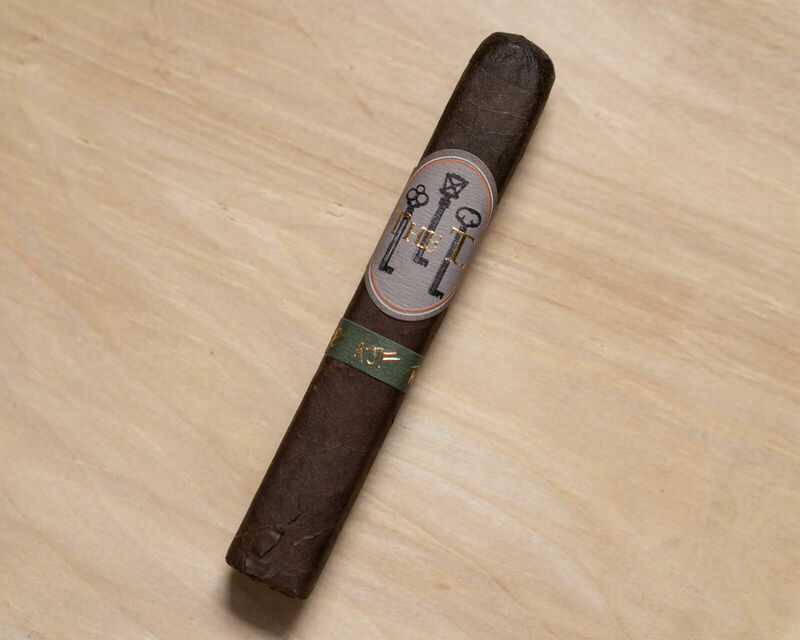 So when I heard Caldwell paired up with AJ Fernandez and Matt Booth for The T, it went without saying I’d be picking this cigar up to review. The outer wrapper of the T is very dark, with a sandy texture and visible oil. Unfortunately there’s also a split in the wrapper leaf near the foot (a consequence of a slight tumble the cigar took on its way out of my humidor). No points docked there. After clipping the cigar and testing the draw, it’s clear that it’s just touch on the restrictive side, about a 7.5 out of 10. Off the foot are tantalizing aromas of savory hay, barnyard, black pepper, grass, and coffee. 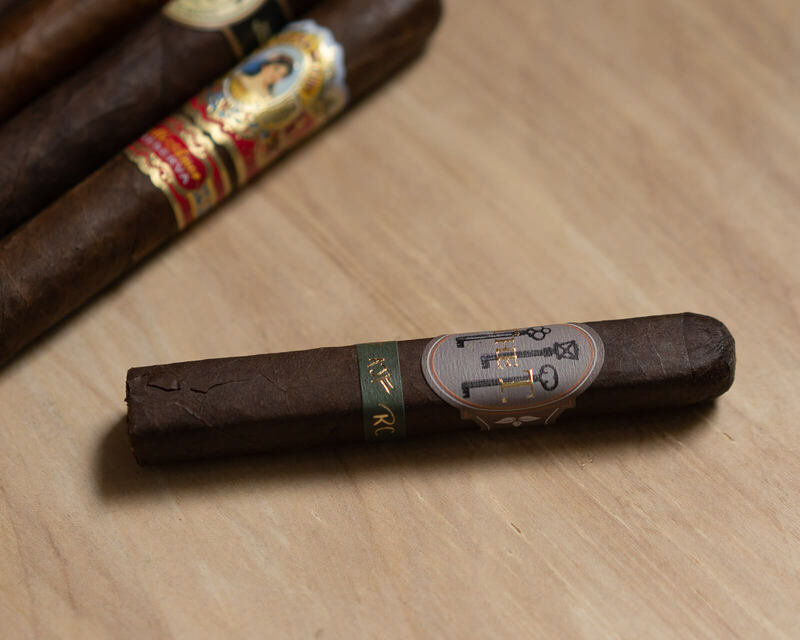 The T opens with decent smoke production and a profile that’s in the medium to full territory. Pepper is dominant on the palate, with salted dark chocolate, dry wood, and burnt coffee as supporting characters. I’m also picking up an anise note that I keep second guessing. Overall the profile at the beginning is leaning mainly on the bitter and sweet flavor categories. At about three quarters of an inch in, the ash is holding, the burn is straight, and the smoke production has (thankfully) risen to above average. What started out as burnt coffee shifts slightly sweeter to resemble fresh peanuts. The pepper has lessened on the palate but remains dominant on the retrohale, which is almost too strong for comfort. Over the next 10 minutes, the flavor profile ebbs and flows, sometimes shifting sweeter, other times taking on an almost charcoal like character. But the changes are welcome as they keep the cigar from getting boring. As The T burns into the second third, the body and strength drop to a hair above medium. Flavors shift as well, with a toasty, cinnamon graham cracker note offsetting the bitter coffee and dry wood impressions. This doesn’t last long though, with the dry wood, charcoal, and a leather note dominating the experience into the beginning of the final third. A bit frustrating really, because the balance just isn’t there. Construction though remains totally flawless, and the overblown retrohale has calmed to a much more approachable level. The final third is much the same, totally dominated by dry wood, charcoal, and pepper, with creamy coffee and baking spices making failed attempts to break through. 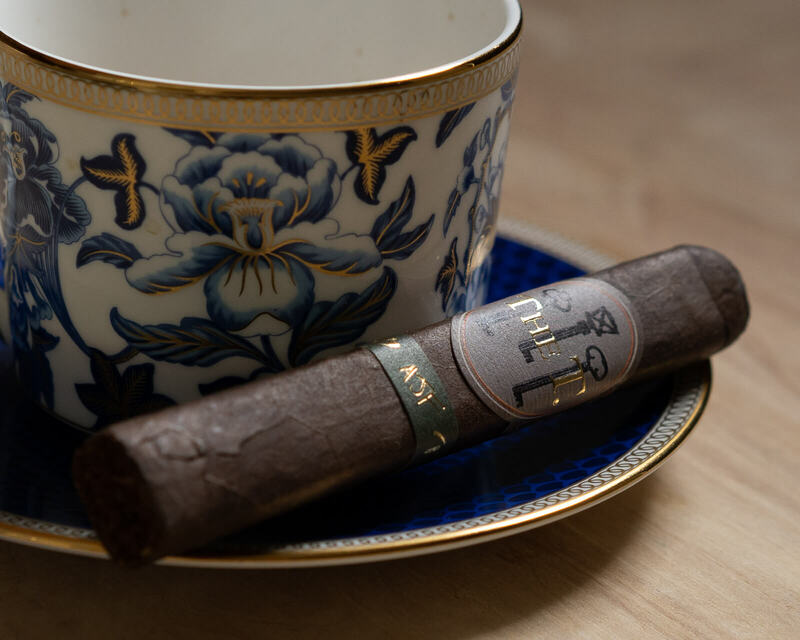 After so many glowing recommendations, I’m a bit disappointed by Caldwell the T. What started out as an enjoyable smoke became an unbalanced, somewhat monotonous smoke. With few exceptions, the smoking experience was out of balance, with many of the flavors which would have balanced the experience lacking in strength. All three collaborators on this project have made better products to try.